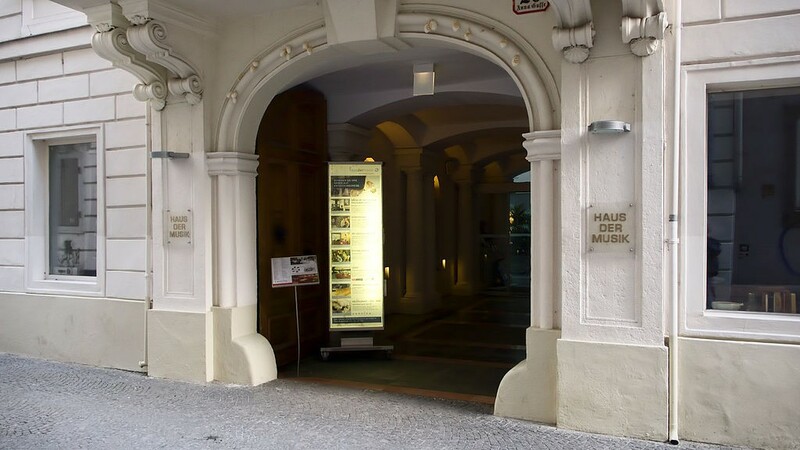 The Haus der Musik (House of Music) in Vienna opened in 2000, and is the first museum of sound and music in Austria. Across an exhibition space of 54,000 square feet in the historic Palais Archduke Charles, a range of hi-tech interactive and multimedia presentations introduce the world of music, from the earliest human use of instruments to the music of the present day. Those involved in developing the museum included four Austrian universities, two foreign university institutes, a team of musicians and music theorists, artists from multimedia and other areas, sound technicians, architects, and students. In 2002 the Haus der Musik was awarded the Austrian Museum Prize for its innovative conception. The museum often organises workshops and activities for children. The 'Artists' Talks' events, in which the chairman of the Vienna Philharmonic chats with internationally reknown figures from the world of classical music. So far, the guest list has included Gustavo Dudamen, Daniel Barenboim and Lang Lang, among others. The shop opens daily from 11:00 to 21:00.